A revocable trust determines how the grantor's property is managed and distributed both while he is alive and after his death. However, the grantor retains the right to amend or even end (revoke) the trust. However, this type of living trust doesn't protect the assets against the grantor's creditors or avoid estate taxes because the grantor retains ownership of the assets. An irrevocable trust is a trust that cannot be amended without the beneficiary's permission. When the grantor dies, the assets are immediately distributed to the trust's beneficiaries. This type of trust protects assets from creditors because the grantor no longer owns the property, so it cannot be seized to pay the grantor's debts. It also avoids estate taxes because when the grantor dies, he is not the owner of the property, so trust assets cannot be taxed as part of his estate. As an added benefit, assets in an irrevocable trust avoid capital gains taxes. Any assets that can be withdrawn from a trust are not protected under Medicaid law. If a grantor suffers a catastrophic illness and has the ability to withdraw assets from a trust, Medicaid can force him to end the trust, if it is a revocable one, in order to use trust property to pay for his care. 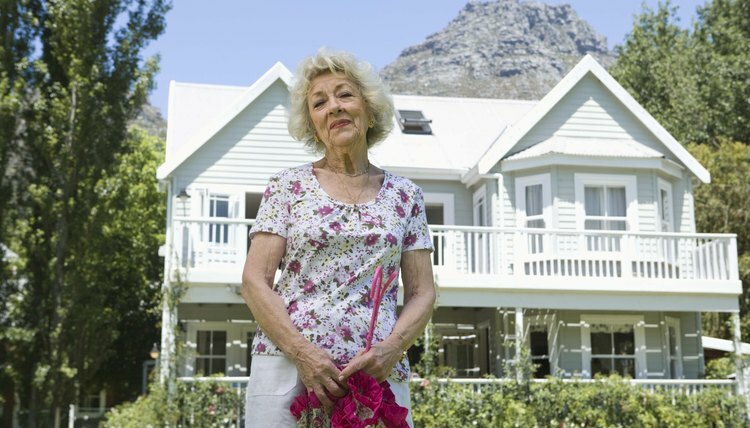 In contrast, assets in an irrevocable trust are safe because the grantor no longer owns the property. An irrevocable trust is the only living trust that protects assets from Medicaid costs. A spendthrift trust is a type of irrevocable trust that limits a beneficiary's access to the assets in the trust. It is often used for a beneficiary who is fiscally challenged and can't control his own spending. The terms of the trust include strict rules that dictate how often the trustee will distribute payments (or other assets in the trust) to the beneficiary. Aside from these periodic payments, the beneficiary has absolutely no access to the trust. This ensures that all assets in a spendthrift trust are protected until they are distributed to the beneficiary. In other words, while the assets remain in the trust, a beneficiary's creditors have no right to the assets in the event she defaults on a loan. The trust can also be used to protect assets from a beneficiary's spouse in the event of divorce.